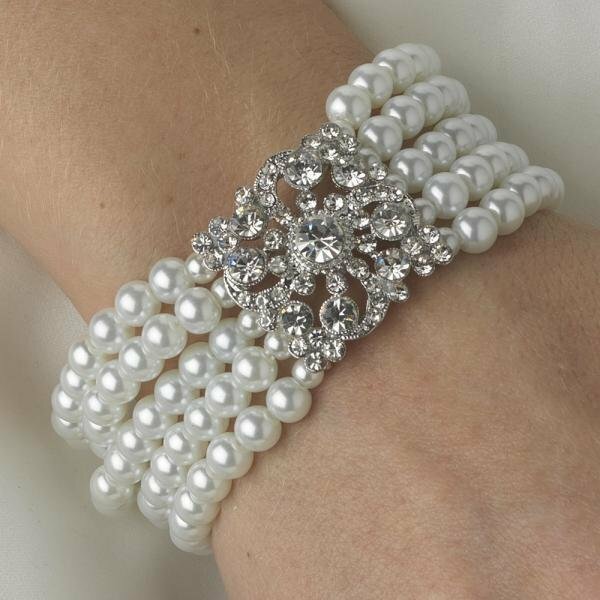 Stunning off white pearl choker style bracelet with rhinestone ornament. Perfect for the bride or bridesmaids. Bracelet is stretchy, one size fits most.